The SR1 has it all - light weight, outstanding ventilation, comfort and even low noise levels, all wrapped up in a solid feeling shell. Schuberth is what I'd characterize as a deliberate and conservative company. This philosophy has been demonstrated based on our experience with several different Schuberth helmets going back to the Schuberth Concept - the flip-up everyone simply had to own. These have included Schuberth "classics", such as the Schuberth C2 (review) and more recently, the ECE version of the Schuberth C3 (review). Those were followed by reviews of the Schuberth C3 DOT version (review), along with a look at the Schuberth SRC intercom system (review). The new Schuberth SR1 has to be the most innovative motorcycle helmet we've seen in quite some time. 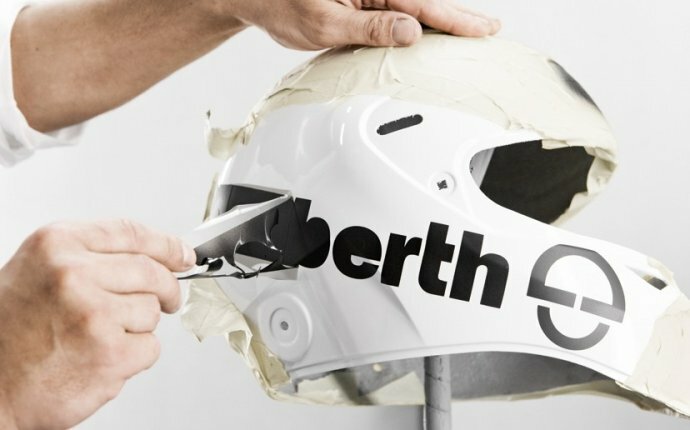 The idea was born with the special 900 gram, one-off, carbon fiber "Schuberth Race" helmet designed for and with Michael Schumacher during his short-lived motorcycle racing career after leaving F1 (for the first time) in 2006. The SR1 has some Formula 1 in its genes - even today, you can see several F1 racers wearing Schuberth helmets; the company has been a driving force - if you will - in Formula 1 helmet safety for many years. The matte white finish on this one is outstanding, except for one issue. Apparently, we have some local bugs that the Schuberth engineers didn't anticipate.